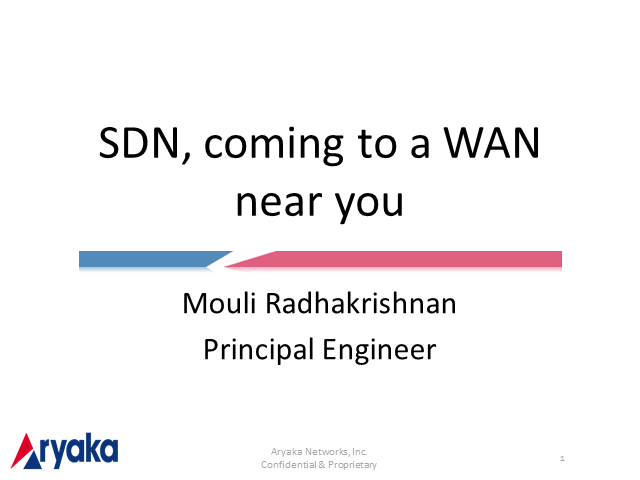 SDN Coming to a WAN Near You. Are you Ready? WAN equipment has been highly proprietary and closed. As organizations are becoming more global with a distributed workforce and adopting cloud computing and SDN, they are looking for a WAN that is dynamic, more efficient, scalable, fault tolerant, and delivers a higher performance at a lower cost. Attend this webinar to learn how software defined networking concepts bring new applications and use cases that were previously unimaginable. The enterprise WAN as we know it, is changing. Title: SDN Coming to a WAN Near You. Are you Ready?